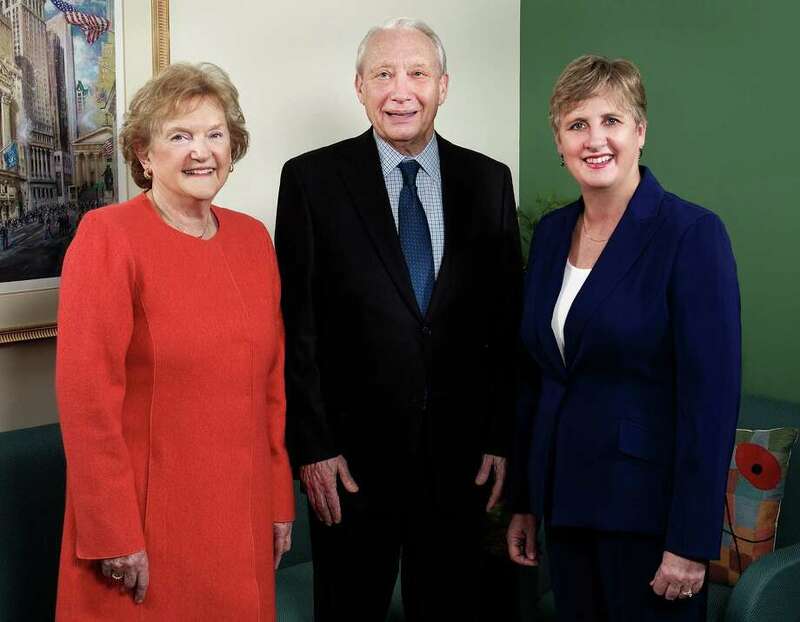 HTG was founded in 1993 by Jeanne and Tom Gnuse, founders of HTG Investment Advisors, from left, congratulate Robin Sherwood, right, on her promotion. Robin Sherwood has been appointed executive vice president and elected to the board of directors of HTG Investment Advisors Inc., based in New Canaan. She has also become a significant shareholder in the company. "Robin has been instrumental in every phase of our business and in every major decision in recent years. We recognize her leadership as our business has expanded, as well as the major role she will play in the future of the firm," Tom Gnuse, president, said. Sherwood earned a Master of Business Administration from the Wharton School at the University of Pennsylvania, and has more than 20 years of experience in the financial advisory business. After earning her certified financial planner designation, she began her career conducting financial planning seminars for several major corporations. Sherwood is a member of the National Association of Personal Financial Advisors and the Financial Planning Association. After building a financial advisory practice on her own, Sherwood joined HTG in 2005, soon becoming a principal, lead adviser and chief compliance officer. Celebrating its 20th anniversary this year, HTG was founded in 1993 by Jeanne and Tom Gnuse and has grown to a firm of 10 employees that manages more than $350 million in assets, as of the last regulatory filing, and serves more than 200 individuals and families locally and around the country. "As an independent, fee-only business regulated by the Securities and Exchange Commission, we were among the pioneers in an industry that did not exist 20 years ago," Jeanne Gnuse said. "We have always offered independent advice, commission free, and we like the flexibility of being a smaller company. It was a fledgling concept when we started but today small companies like ours have developed a significant presence in the financial services industry." In addition to managing investments and providing financial planning services, Jeanne Gnuse said, "Educating clients and others about the principles of money management is part of our culture." Over the years, HTG has presented multiple seminars and roundtable discussions on various topics, including charitable giving, trust and estate planning, investing during retirement, long-term care insurance, raising money-savvy kids and, most recently, a series on financial transitions in divorce.